Mary Elizabeth Winstead is currently on the promo trail for her new film 'All About Nina' and her stylist Penny Lovell posted her most recent look to instagram. 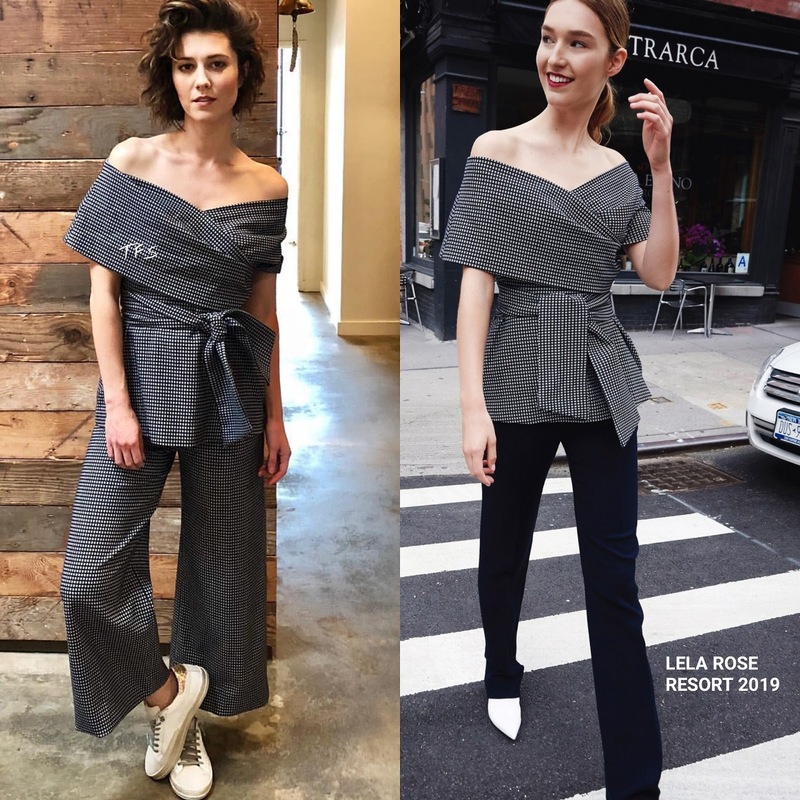 She posed for the gram in a LELA ROSE RESORT 2019 off-the-shoulder black & white printed wrap peplum top with a self-tie waist and the matching crop, wide-leg pants. While this ensemble would look great with pumps or ankle strap sandals, her P448 white sneakers worked perfectly as well. Minimal makeup and a short curly cut finished up her look. Are you feeling MEW's instagram style?